KERAMIK av / CERAMIC ART by Charlotta Klingström : Workshop in Denmark! 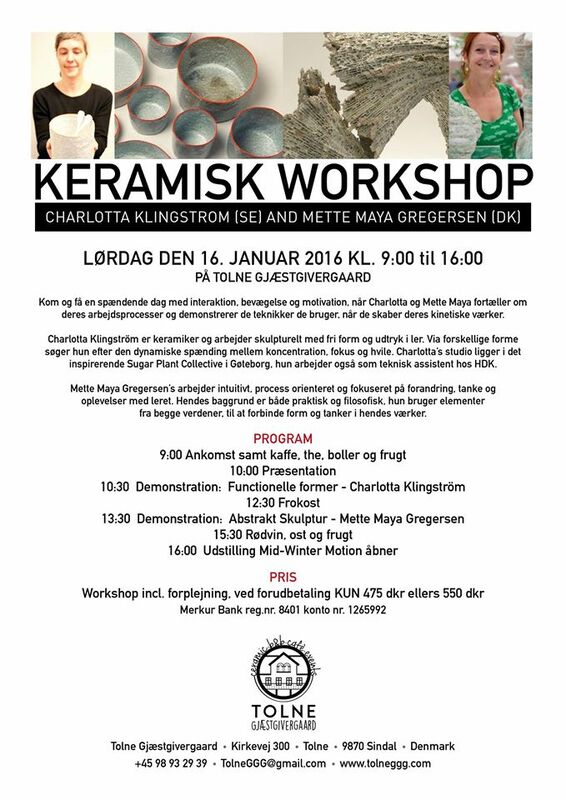 This upcoming Saturday Jan 16th I am invited to give a workshop at Tolne Gaestgiveregaard. guest artist Mette Maya Gregersen.